I thought it might be helpful to make a list of resources for you during your personal journey to better social skills and confidence. So below, I’ve noted conversation skills and self-esteem building resources you might find useful. I’ve personally used all these products and gotten great results from them. In my opinion, these are some of the best books and courses to get you on the fast track to better social confidence, self-knowledge, love and more. 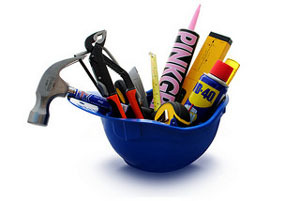 Now, I want to give full disclosure here…YES, if you buy any of these resources using the links below, I will get paid a commission at no extra charge to you. After all, it’s how I keep this blog running. Of course you don’t have to get these products through me, but if you choose to do so, thanks. You’re helping me keep this blog alive to assist people in improving their social skills, building confidence and living happier fuller lives. 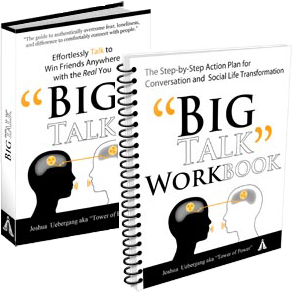 Big Talk – In my opinion, this is the best conversation skills training course available today. I learned so much from it and still review it often to brush up on skills. If you want a fully comprehensive, step by step guide on how to talk confidently (as the real you), you might want to check out the Big Talk training course. It’s designed to quickly get you flowing smoothly in conversations without awkward tension. It has all the best lessons and more that I took 10+ years to learn the hard way. You can get more details on Big Talk by clicking here. The Personality Puzzle – Simply put, this short e-book helps you know and understand who you truly are. This will let you interact more effectively, powerfully and effortlessly with everyone you meet. It helps you determine your personality type based on the Myers Briggs Indicator so you know your strengths, weaknesses and what you’re naturally inclined to do. After I read through it, I understood areas where I was “fighting” my true nature. Now, by acting more in line with who I truly am, I feel more sure of myself, happier and less of a sense of “struggle”. 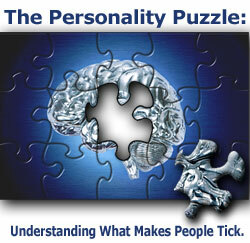 To find out more about the Personality Puzzle, click here. Lifeflow Meditation – “Perfect meditation states at the push of a button.” That’s one description of Lifeflow. From my personal experience, it’s true. Since I’ve been using this program, I’ve felt less stress and my life goals just seem to “click” into place easier. Regular meditation can make you happier, and help you overcome problems like anxiety at a subconscious level. It causes both hemispheres of your brain to work together for “whole-brain synchronization.” But of course, who has time for years of practice to perfect meditation. Well, using what’s called brainwave entrainment, you can quickly reach meditative states it previously took a lifetime to achieve. 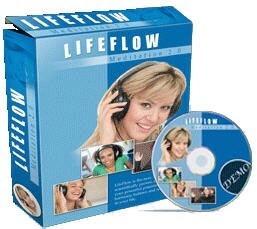 And it all happens just by listening to the special Lifeflow entrainment cds. You can go here to find out more and get a free sample audio to listen to. 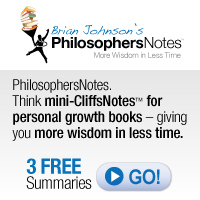 Philosopher’s Notes – I like this series because it distills the best knowledge and ideas from 100 of the greatest personal growth books of all time. It’s like Cliff’s Notes for self-improvement and transformation. The most important ideas and concepts from each book are explained for you in a written PDF and in a 20 minute mp3 format. You can “become a better you in the time it takes to watch a sitcom.” What I’ve discovered is these quick notes have helped me grow my own wisdom and character. It’s helped me to develop a sense of maturity and there are few things more “people magnetic” than having a mature and open-minded personality. Check out this page to learn more about Philosopher’s Notes (and get 3 free notes by entering your e-mail at the bottom of the page).